Montanha, Cristiano Alves, Nailor Proveta, Buosi and Burgani; Brasilian clarinetists have embraced samba, choro and classical music, and in Proveta’s case, he bring his own Brasilian sensibility to Jazz, moving seamlessly north and south and north and south again, but always with that skipping, shuffling and rolling behind the beat rhythm evocative of frevo, maracatu and every kind of samba. With the clarinetist, Anat Cohen, the movement is from Jazz to Brasil. The effect, however, is the same: A música da paz e da alegria. Few foreigners other than Harvey Wainapel and Anat Cohen have been welcomed into the heart of Brasil; the heart being the inner sanctum sanctorum of that unique Brasilian existentialist sensibility. Curiously Brasilianism is indeed a philosophical attitude. In one sense it may be associated (especially) with Heidegger, Jaspers, Marcel, and Sartre, who found existentialism to be opposed to rationalism and empiricism. Thus they stressed instead, the individual’s unique position as a self-determining instrument responsible for the authenticity of his or her choices. Anat Cohen makes a proverbial leap from the profoundly beautiful to the profoundly vivacious. Admittedly, the two aspects of Anat Cohen’s music are not mutually exclusive, nor are they polar opposites. Rather the clarinetist weaves the two like warp and woof in a magical dreamscape on Rosa Dos Ventos (flowers, or better still, rose petals in the wind), with music that is viscerally exciting as in “Sambalelé” or “Choro Pesado” and hauntingly atmospheric as in “Para Você”, “Valsa Do Sul” and several other pieces delicately shaded and imbued with pastoral warmth, where the playing of Trio Brasileiro is similarly hushed and exquisitely rendered. This is a deeply treasurable collection of Brasiliana. 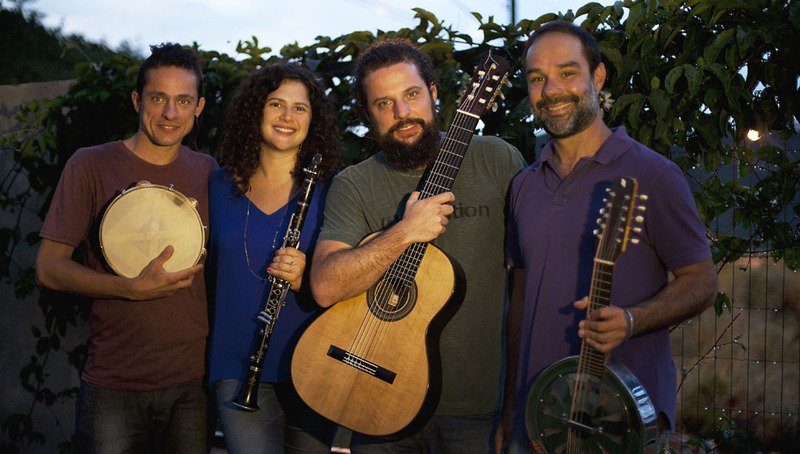 The energetic playing of the mandolin player Dudu Maia, 7-string guitarist Douglas Lora and percussionist Alexandre Lora is exceptionally classy and dramatic. Many of the pieces are played at very brisk tempi and yet each musician is faultless, unconcerned with tricks and quirks but rather each one lets his respective instrument do the talking – whether with gracefully inflected rhythm or chattering with unfettered liveliness. It is this spiritedness that illuminates the music from end to end. Again, one is particularly struck by Anat Cohen’s playing. Her command of breath, whether taken in inaudible gulps and gasps or (equally inaudibly) through circular breathing, she gives these performances a raw edge, even when the music hovers the boundary of relative immobility. It is for this reason that Anat Cohen’s performance is impressive – impressive because the episodes of rhythmic and timbral coincidence, and the deviations from them, are equally assured and motivated. That and the energy and sheer physicality of her playing – together with similar playing by Lora and Lora, and Maia – make this an album to die for. Track list – 1: Baião Da Esperança; 2: Para Você, Uma Flor; 3: Ijexa; 4: Valsa Do Sul; 5: Flamenco; 6: Sambalelé; 7: Rosa Dos Ventos; 8: Teimosa; 9: Das Neves; 10: O Ocidente Que Se Oriente; 11: Choro Pesado; 12: Lulubia. 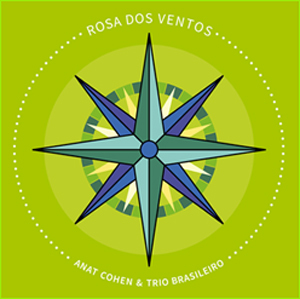 Personnel – Anat Cohen: clarinet; Dudu Maia: 10-string bandolim; Douglas Lora: 7-strong guitar; Alexandre Lora: pandeiro, hand pans and percussion; Luiz Ungarelli: congas (3 & 9).